This came from a response to a fellow traveller in the Mac Power Users Facebook group. 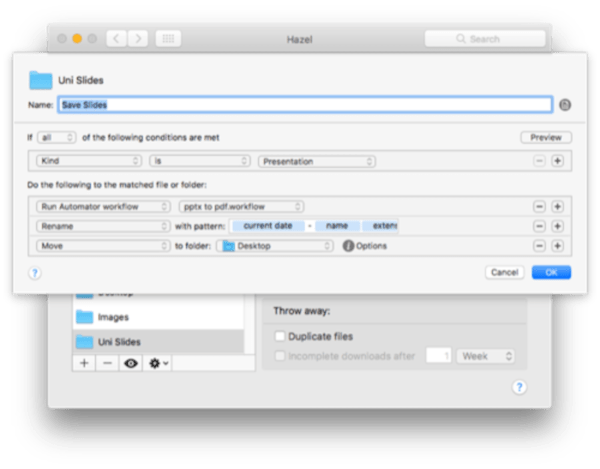 I was about to share the Automator action and Hazel rule that make up this little scheme when it dawned on me that this is a good opportunity to share a fairly straight forward workflow you can easily automate. This is a fairly common need among students. Most good lecturers will share their presentations with you for their classes. Automating the filing of those slides is both, a good way to save a little time, and a way to ensure a consistent and reliable filing system. I don’t know about you, but my file management can get a little haphazard when done manually. Whether or not that will work for you is going to depend on the version of PowerPoint used to create the presentation. 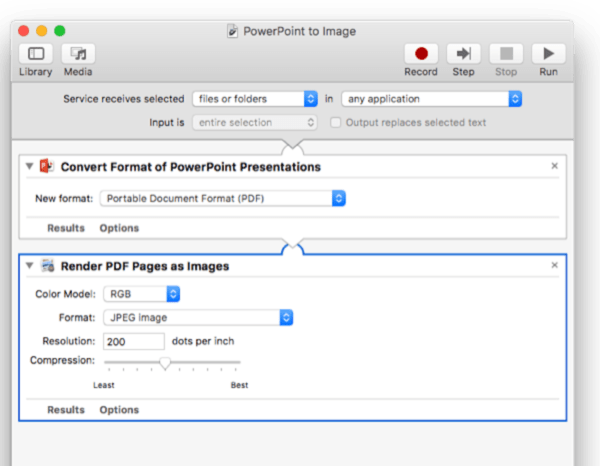 There appears to be some obscure bug with passing Office file names to Automator. As far as I can tell, MS Office no longer supports Automator directly, so you have a choice of hacking what you can from the 2011 actions or using AppleScript. Rather than messing around, trying to debug incompatible actions, AppleScript is your friend here. You can download the script itself here. 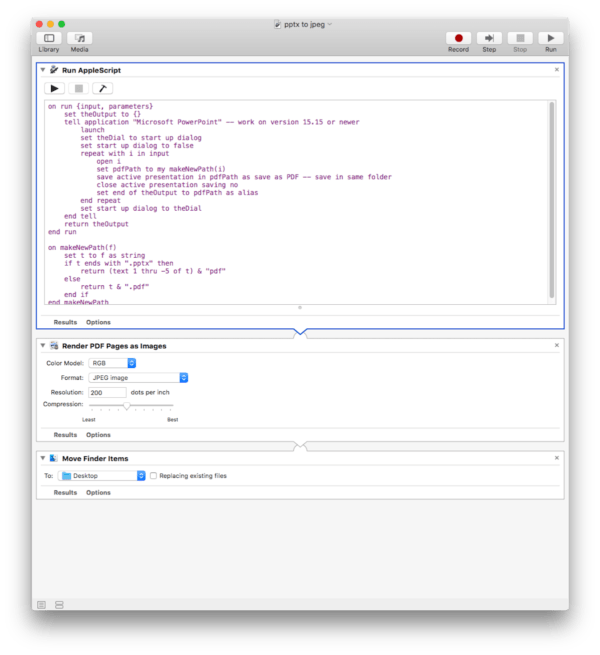 It is also included in the Automator workflow, which you can download below, along with the Hazel rules. Happy Automating!